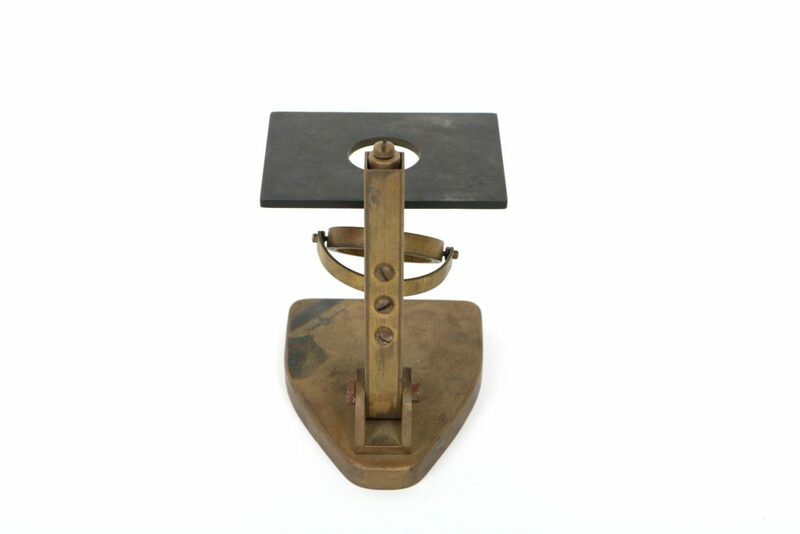 This is the base portion of a small microscope stand. It consists of a metallic base with a metal support emerging vertically from it. 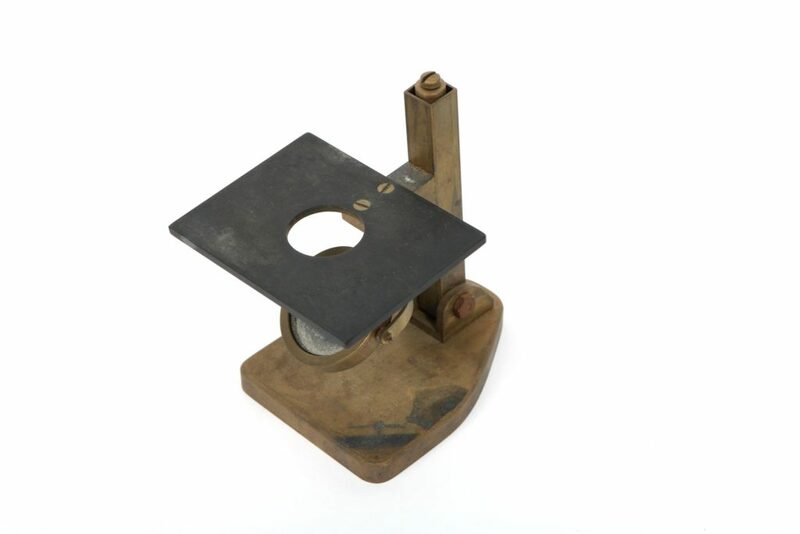 Supported on this is a flat microscope stage with a circular hole cut in the centre. Underneath this, between the stage and the stand base, is a round mirror in an adjustable frame. This is the lower portion of a microscope, consisting only of the mirror portion. 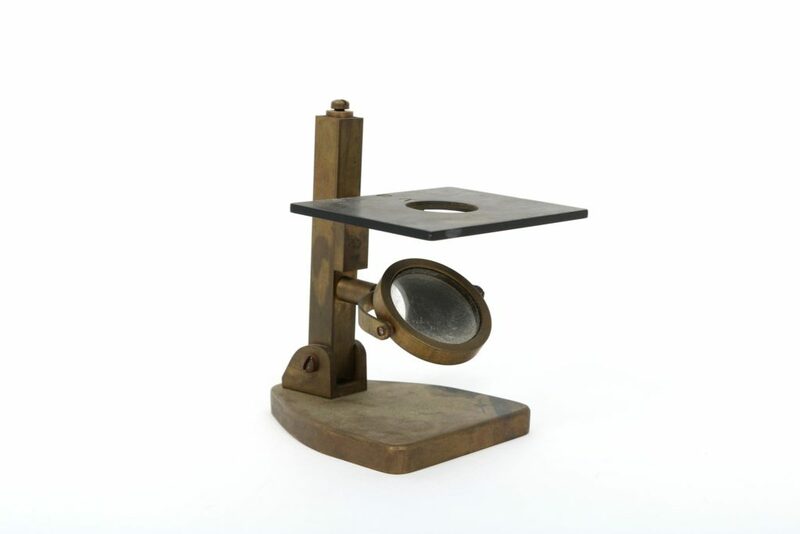 The mirror is for directing light onto the stage for better visibility of a specimen, and can be adjusted depending on the angle of the available light. 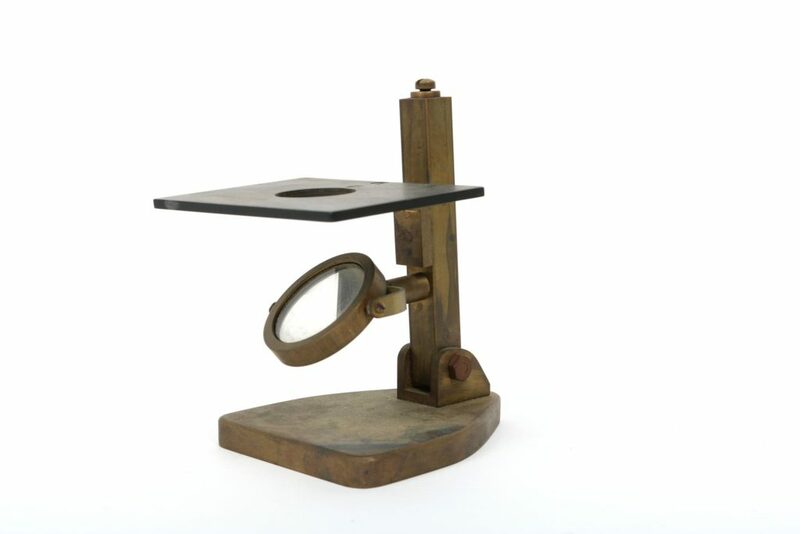 A microscope optically enlarges specimens for easier viewing of tiny details. Poor: Much of this microscope is missing. The surface of the metal is stained in places and dulled. The mirror and stage are in good condition. Date of Manufacture: 19th Century?